6. 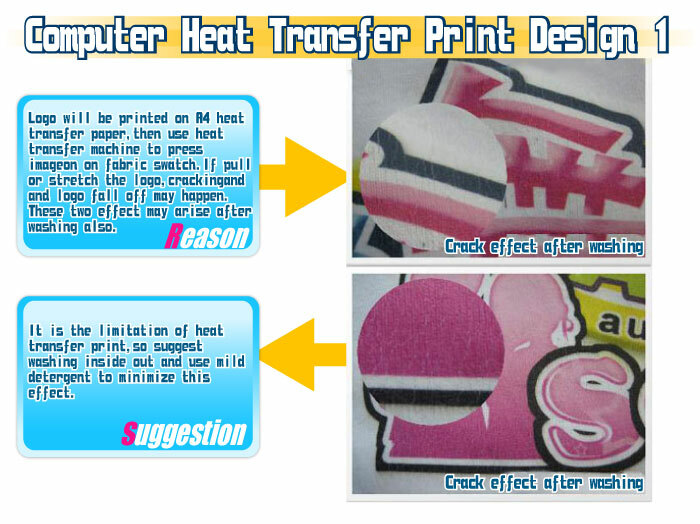 The entire heat transfer paper or the logo-shape will be cut out and then heat offset onto the garment panels. 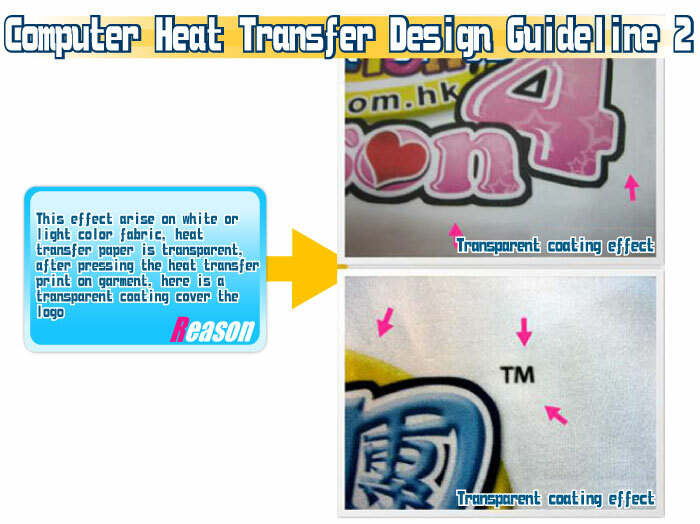 The limitations are that if the logo is forcefully stretched, there maybe potential slightly peel off and cracking, this may also happen after repeated washing. 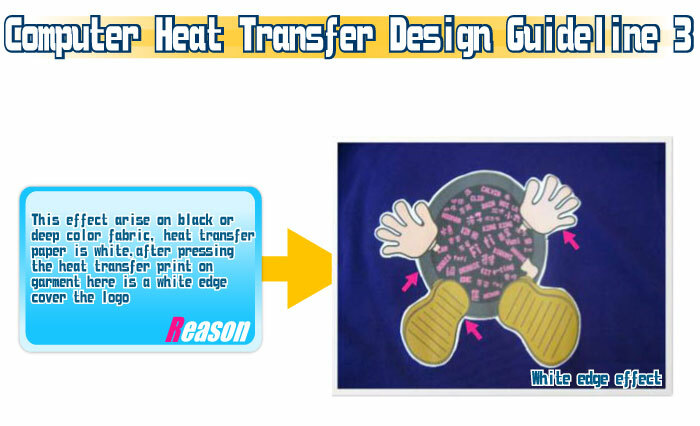 It is suggested to turn inside out and use mild temperature water during washing in order to minimize such situations.